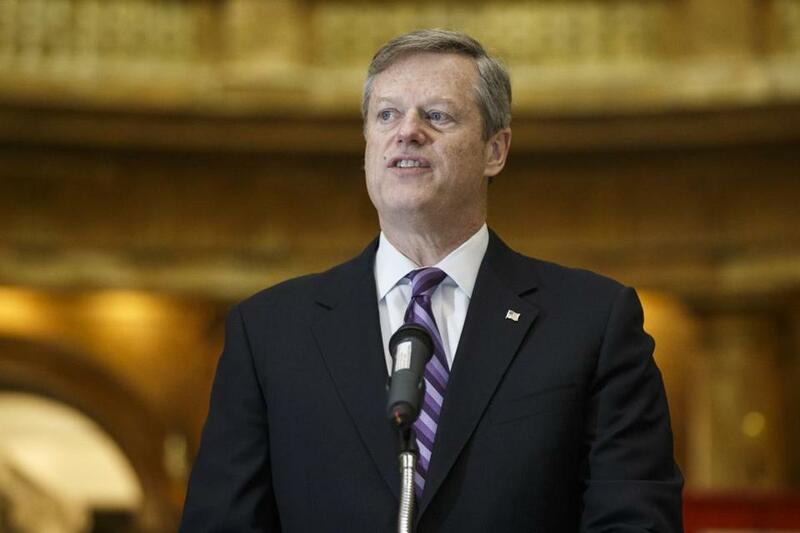 Poll shows Charlie Baker is the most popular governor in America. Again. Governor Charlie Baker of Massachusetts has a 75 percent approval rating, according to a new poll, the highest approval rating in the nation. Governor Charlie Baker is once again the nation’s most popular governor, while US Senator Elizabeth Warren’s approval ratings have dropped, according to a new Morning Consult poll shared with the Globe. The online poll of nearly 2,500 Massachusetts voters over the last three months shows Baker with a 75 percent approval rating, and just 17 percent of respondents saying they disapprove of his job performance. Baker’s approval rating showed an increase from a Morning Consult poll released in September, when 70 percent of respondents approved of Baker and 18 percent said they did not. In that September survey, which was also conducted for governors in all 50 states, Baker ranked as the third most popular governor, behind his counterparts in South Dakota and Maryland. In the new Morning Consult poll, Baker came in a tick higher than Maryland’s Larry Hogan, who showed a 74 percent job approval rating. Also in the most recent survey, three of the four most popular governors were, like Baker in Massachusetts, Republicans leading largely Democratic states like Maryland and Vermont. Both Baker and Warren are up for re-election next year. But as Baker has rebounded in the survey, Warren’s approval rating has slipped. Fifty-six percent of respondents in the survey approved of Warren’s job performance, while 38 percent disapproved of it. That’s a dip from a Morning Consult survey taken in April 2016, when 61 percent of voters approved of Warren’s performance, while 27 disapproved. US Senator Edward Markey, a Malden Democrat, has a 55 percent approval rating in the poll. More than one in five Bay State voters in the survey said they did not know enough about Markey to have an opinion. In New Hampshire, Governor Chris Sununu, a Republican, has had a rocky start pushing his priorities through the Republican Legislature. But the survey shows voters either were not familiar with these troubles or they were not bothered by them. The Morning Consult poll showed Sununu with a 55 percent approval rating, which is in line with US Senators Maggie Hassan, who the survey showed at 53 percent, and Jeanne Shaheen, at 57 percent. Hassan and Shaheen aren’t up for reelection in 2018. But Sununu will be up for re-election that year because Granite State governors are elected to two-year terms. The Morning Consult poll questions registered voters in each state through multiple online methods, including surveys and emails. The poll included 2,462 Massachusetts voters, surveyed from January through March 2017. The poll had a margin of error of 2 percent. The New Hampshire poll was taking during the same time period, but with 644 voters and has a margin of error of 4 percent.